Bathroom remodel progress continued from here. Almost done. It needs to cure for 48 hours before sealing. 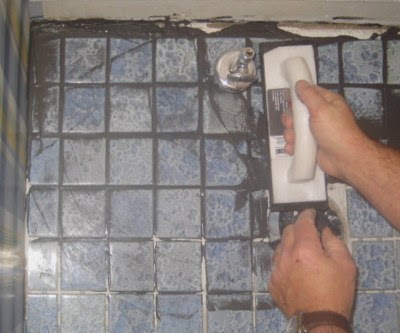 After the grout is sealed, we'll do the baseboard. Oh how pretty. 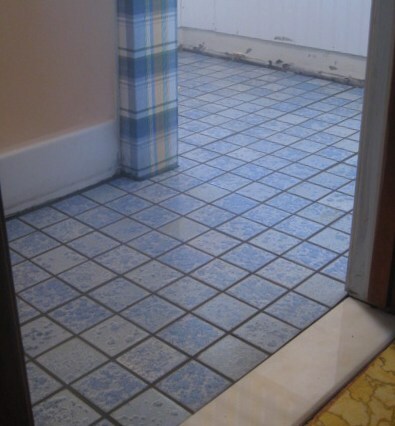 I do like your tile. Renee, actually I'm not a big fan of tile either, especially since having it in the kitchen. 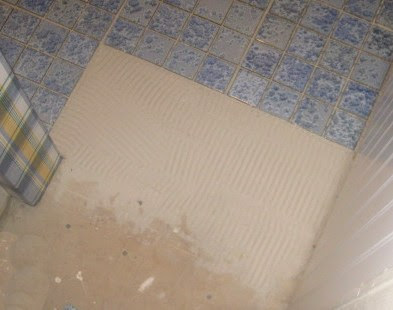 However, Dan really didn't want a vinyl floor, so tile it was. Robin, thanks! 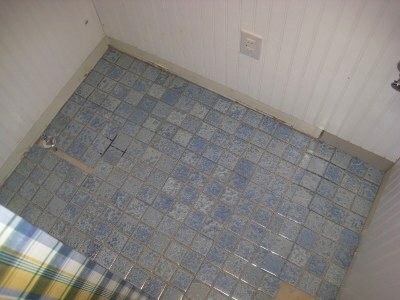 It was the only blue floor tile I could find without special or mail ordering. I was dubious at first, but it turned out rather well. Very 'fresh and light'. Love it. And I love projects, they make everything feel happy! Great job and such pretty tile! The pictures do look effortless. I like tile and there are many days I wish we had put in tile instead of wood floors, but as DH says, you'd still have to clean it. Love the tile. I especially love that tiling comes toward the latter part of the project, thus signalling the beginning of the end.. woo hoo.. I also like the dark grout used. We did that too, mainly because we had it on hand from the fireplace hearth tiling job, but the fact that it doesn't show the wear and dirt as much is a bonus. APG, it makes me happy too! Especially compared to how it looked before! Theresa, when you find that self cleaning floor, let me know!!! I've really changed my mind about tile. I used to love it, but having it in our current kitchen has been a real dose of reality for me. I think tile kitchens are gorgeous, but the tile is cold under foot in winter, and cracks when stuff (like cast iron pans) are dropped on it. For me, that isn't good. 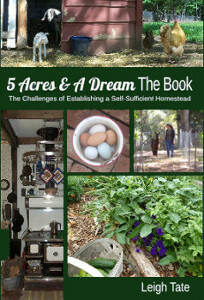 Still, we will probably use it as a hearth for the cook stove, and for a backsplash. 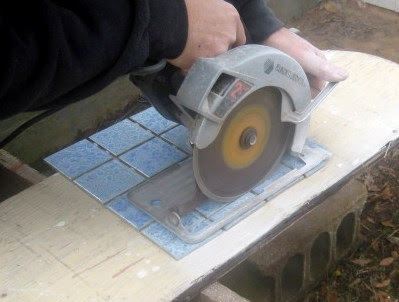 Nina, I really waffled on that grout. Originally we found a partial bag of white on clearance for only a few dollars. 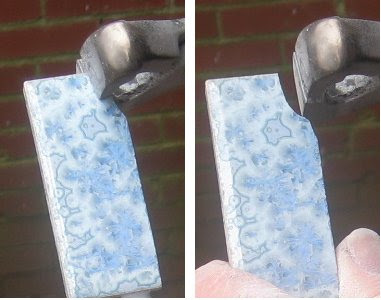 Then we watched a tiling video and I began to question the use of white. Too much contrast and as you say, shows dirt and stains to easily. There were a lot of color choices at the store, but they only carried a few basics. Would have loved a matching blue, but settled for one of the grays instead. I almost regretted that decision while DH was applying it, but now I'm glad for our choice. 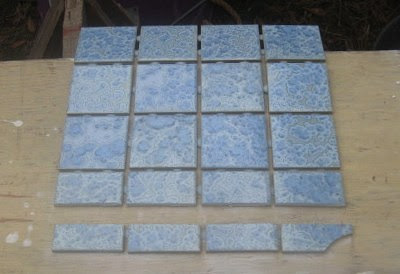 Great looking tiles! looking forward to seeing to total finish. I love tiles with a heat pad underneath. Love seeing the process rather than just the finished floor. There is SO much to a 'little' project like that! Bet you're glad it was a small floor space. But we still want to see it with baseboard and all installed. You two are an inspiration for us to get on with our kagillion projects around here. That is amazing....just love the color! You have a very talented hubby! Hugs! Looks fantastic and how nice it goes with the wall paper. And what a nice Christmas gift! Looks fantastic! I love the colors you've chosen. Very relaxing. Brilliant - it's funny how towards the end all the finishing bits and pieces seems to take so much longer - but I'm sure you'll be able to use the bathroom by Christmas - couldn't ask for a nicer gift I reckon. Wow - nice job - my mom loved to tile things - never caught the bug, thank god - :-) T.
Pam thanks! 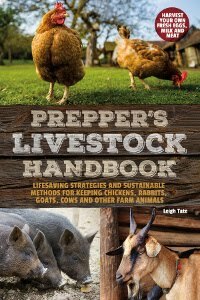 He's a good one and willing, though there is a lot of deliberation that goes into every project. Kat, thanks! I love blue. Sadly, it isn't the "in" color for decorating these days. 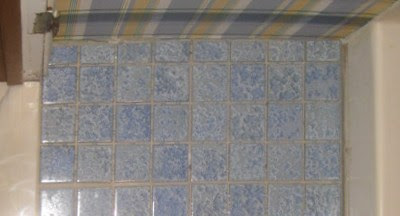 Those tiles were my only choice in the blue department. Everything nowadays is neutrals. Dani, that is so true. I catch myself thinking that it'll be finished any day now, but then start to list what actually remains to be done and it's still a long list! Tina, I have to confess that originally this job was assigned to me because I had played around a bit with kitchen tile when I was a kid. I'm glad Dan took it on though, because of the cutting. I definitely wouldn't have done as good a job as he did with that. I'm glad you shared this as we are going to replace our bathroom floor this winter and have not decided what to use yet. Your bathroom is looking great and I really like the color scheme. What a nice tile job! I love the color! Can't wait to see it with the baseboards! Have a wonderful Christmas! Mr H, I think the tile was a good choice for us. I've put down vinyl squares too, in the past, and neither one is especially easier than the other. A few more steps for the tile, but I think the result is so much richer looking. Ocean Breezes thanks! And Merry Christmas to you too!